With the average wedding costing around $29K in the U.S., expenses across the board are higher than ever before. Mind you, this is not including the honeymoon. 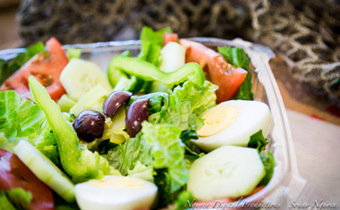 If we begin to look specifically at catering alone, you could be looking at around $60/guest. And don’t even get us started on the cake. With all of these numbers thrown around, wedding planning can be a bit overwhelming and financially discouraging. For these reasons, there has started to be a trend to help cut wedding costs, while still making it personal. That’s why we recommend a catering option that is sure to meet all your needs, and still give your wedding the flair it deserves. At Maine-ly Sandwiches, we proudly offer a diverse catering menu. From soups, to salads, to sandwich trays and desserts, you won’t have a hard time committing to our array of popular items! By choosing from our vast options, you’re sure to have plenty to satisfy your guests. We provide a unique Maine experience, refreshing and seaworthy, in the heart of Houston, Texas. With ingredients you trust and are familiar with, you’ll never have to fret about those picky eaters. 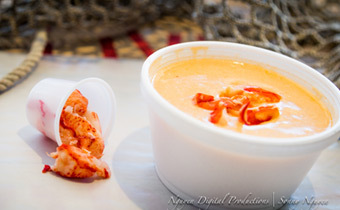 One of the best benefits of choosing our lobster sandwiches for your special day, is the aspect of less is more. Our sandwiches are the perfect balance of fresh, light seafood, and hearty bread that cradles it perfectly. The best part? It doesn’t take much to fill your stomach. That means less dough out of your pocket for all those people who would want seconds after an expensive, simplistic meal. 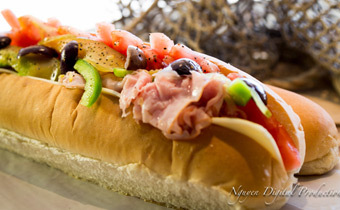 Our sandwiches are a great substance to satisfy cravings while keeping your guests full and happy. Last but not least, by choosing, say, our sandwich trays, you will lower your cost per guest up to nearly $40! Based on the averages we touched on in the beginning, with an estimated $62 dollars being spent per person on catering, choosing Maine-ly Sandwiches lowers that cost to anywhere from $20-$28/per guest. Can’t argue with those numbers! In addition, if you are looking for a more laid back wedding, our sandwiches will fit the bill perfectly. Not a fan of seafood? Don’t worry! We have additional options such as turkey, smoked ham, roast beef, BLT, and much, much more. Mix and match your favorites for optimal variety. At Maine-ly Sandwiches, you can put our flavor-filled items to the test! With additional options for dessert or appetizers, you will never be disappointed. Call or stop in today to try our menu variety, and book us for your next event today!